When your livelihood and freedom are at stake, Alan Castillo - Attorney at Law fights hard to help you regain control of your future. I remain available 24/7. You can call me anytime and you will actually work directly with me – not a paralegal or assistant. Our firm aggressively defends the criminally accused. We help clear your name and protect your professional career. As a highly qualified and experienced Orange County defense attorney who has advocated on behalf of individuals throughout the Orange County area for more than 20 years, I know what is at stake in cases involving serious criminal allegations or accusations of dishonesty, malpractice, or fraud. Your livelihood, your future, and your freedom may be hanging in the balance, but I am wholly devoted to helping you secure the results you need to move forward with your life. Whether you have been arrested, a loved one has been accused of a crime, you are being investigated by a licensing board, or you are facing allegations by a licensing board, I can help protect your rights. By choosing my firm, you will be represented by me directly, which means you will have individual, one-on-one access to a skilled professional who is personally invested in the success of your case. Unlike most firms, I do not keep my clients at a distance or in the dark. I make every effort to keep you informed of your rights and any case developments. You are unique and so are the facts involved in your case, and you deserve legal advocacy that recognizes your side of the story. Due to the sensitive nature of these cases, we are available 24 hours a day, 7 days a week. We offer free and confidential initial consultations. Call (949) 234-6525 and speak with us today! I am available to accept calls or email inquiries 24 hours a day, 7 days a week. Fill out the following form or call (949) 234-6525 to get started. To borrow a phrase, “A good lawyer knows the law, but a great lawyer knows the judge.” Though this statement carries some truth, I am strongly under the belief that your lawyer must know both. When it comes to serious legal matters, you cannot afford to be represented by an attorney who does not know how to use his or her professional experience, knowledge, or qualifications to your advantage. I know how to successfully navigate the California criminal justice system and I am equipped to help you secure the results you need. Because I fully understand the nuances and intricacies involved in the laws that govern your professional practice, I know what it will take to help you walk away with a clean slate – and with your career intact. For more information about how I can help you, call (949) 234-6525. Alan is more of a role model not just for lawyers but for all of us, if we all fought as hard for each other as Alan did for me, in and out of the court room, this world would be a much better place. Thank You Alan for giving me a second chance in life. I am so happy we had Alan on our side. I think it is also important to point out that Alan had several other cases he was handling in addition to ours. He was still able to work a miracle for us. I would refer him to anyone in need of help. His assessments were accurate and his skill and knowledge of the law resulted in a very favorable conclusion. I strongly recommend Mr. Castillo to others in need of a criminal defense attorney. Great Result. The First time saw him in action in court I knew I wanted this guy to handle my case. He walked the talk. From the start he made no guarantees, no promises and gave it to me straight. A real professional. 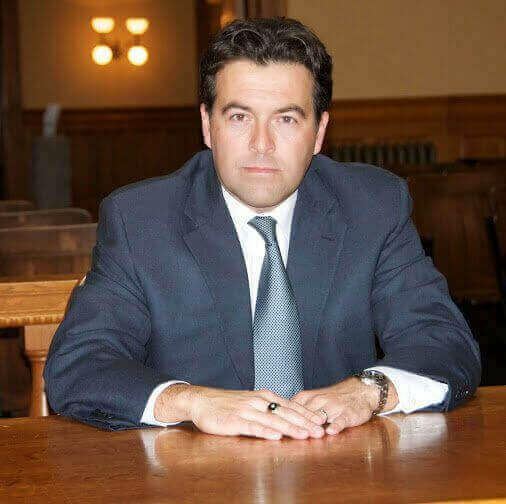 I can say that Alan Castillo is a terrific advocate and works extremely hard for the client’s interests. My wife and I recommend him highly. If you want the best then you want Alan Castillo. You want the attorney who knows more more than just the Law. In addition to the Law, Alan knows the legal system so incredibly well and his intuition is brilliant. Helped me get out of a real bad situation. Delivered on what he promised. I feel that he and his office staff really helped me thru difficult time in my life. I am eternally grateful to them and their services, and I would highly recommend them to anyone seeking criminal representation. They are an incredible team of legal staff. Thank you, Alan Castillo, Esq. You are a wonderfully accomplished attorney. Alan did not disappoint. He was a champion of justice for us, in what was a very unjust situation. His communication was excellent, he made us feel protected and ultimately, vindicated. I kept my job, got my license back in record time, was always kept in the loop of what was happening by the amazing staff, and was treated with kindness and professionalism at every step. He knows his stuff, and is trusted by anyone in the legal circle. I recommend Alan without hesitation. He is knowledgeable, caring, and competent. He was very helpful at all times and gave sound advice. I am extremely happy with my decision to hire Alan. Alan Castillo is an absolutely an amazing attorney! He always does what he says and he delivered extremely incredible results, even more than I expected. He literally saved my livelihood and life. Thank you Alan. My wife and I are so pleased with the results. I didn't have to serve any jail time or house arrest. His hard work saved my job and the outcome was so much better than we thought.